Jeremy Mattheis is the man, the myth, the legend behind the Webby-nominated video series: Grand Theft Auto Pacifist. We chat with him on how he appeals to non-violence in a violent virtual world. Games like the Grand Theft Auto series are notorious for requiring players engage in intense violent interactions in order to survive and win. But, what would happen if players turned the other cheek as a way to advance in the game instead? Jeremy Mattheis created Grand Theft Auto Pacifist to find out. His Webby-nominated, wonderfully weird video series takes viewers on a journey, as he plays the game without engaging in violence—and narrates the entire thing for our enjoyment. We talked to him about his process and more. How did the idea of creating Grand Theft Auto Pacifist come about? I play video games as a performance art: I have fun by my own standards and then find out how the game synchronizes with my aspirations. I also love video games and want to share them with the world, especially with people who don’t yet play. I believed I could have a universally accessible kind of fun trying to survive in a famously hyper-violent world, aspiring be an ideal person, and the exploration of this was fantastic enough to be worth documenting. Also, my dad laughed when I told him the idea. You created this series four years ago, what about GTAP has changed since then? When I started “Grand Theft Auto Pacifist,” it was primarily just a humorous exploration, at odds with the world from a relatable perspective. But the more I examined the process of non-violence in video games, the more I really started questioning the deeper purposes of why I play games, why I compete online, and the deep existential problems that come from climbing the ladder on my own terms. It’s been unintentionally life changing: I’ve found a new obligation to explore non-violence in all the games I play, and this has made things interesting. I believed I could have a universally accessible kind of fun trying to survive in a famously hyper violent world, aspiring be an ideal person, and the exploration of this was fantastic enough to be worth documenting. Can you talk about your process—how do you choose the focus for each episode? One of the most beautiful aspects of playing open world games like “Grand Theft Auto Online” is the opportunity for the player to tell their own story. When I sign into the game world, I don’t really know what’s going to happen. Sometimes I’ll just pick a goal as simple as “go to the beach” and an hour later, the resulting events will have generated enough material for two episodes. What goes into the writing and editing for these videos? After I play for about an hour, I’ll spend what would otherwise be play time writing voice-over that tries to bridge the gap between seasoned gamers and people who have never picked up a controller. This is really hard. Editing became more complicated with the release of the “Rockstar Editor,” which allows me to choose camera angles after the gameplay has happened. Then, I compose the music and motion track the kinetic typography to create a very special experience for the viewer, and it all takes way longer than I’d prefer. 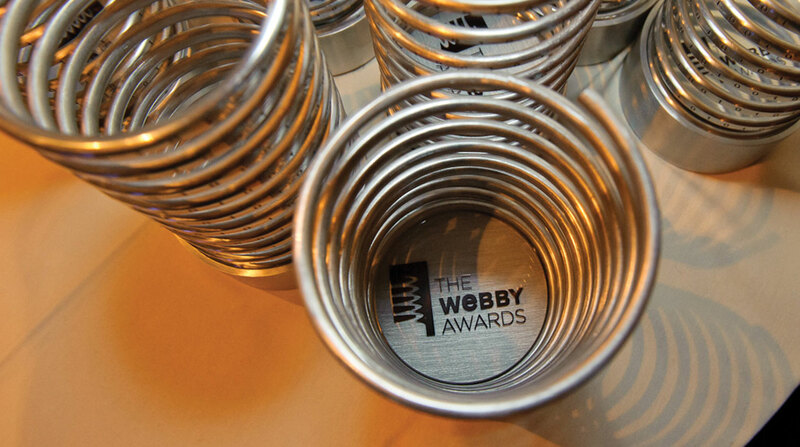 What does your Webby nomination in the “Weird” category mean to you? It was an honor to be nominated, especially in a category that allows the kind of exploration and departure from normalcy that allows real social breakthroughs to happen, at the expense of the embarrassments and surprises along the way. Visit Jeremy’s channel for more videos from the 2018 Webby nominated series.